• Surja Life Insurance Company Ltd.
• Baira Life Insurance Company Ltd.
• Delta Life Insurance Company Ltd.
• Farest Islami Life Insurance Co. Ltd.
• Golden Life Insurance Ltd.
• Homeland Life Insurance Company Ltd.
• Meghna Life Insurance Company Ltd.
• National Life Insurance Company Ltd.
• Padma Islami Life Insurance Company Ltd.
• Popular Life Insurance Company Ltd.
• Pragati Life Insurance Ltd.
• Prime Islami Life Insurance Company Ltd.
• Progressive Life Insurance Company Ltd.
• Rupali Life Insurance Company Ltd.
• Sandhani Life Insurance Company Ltd.
• Sunflower Life Insurance Company Ltd.
• Sunlife Insurance Company Ltd.
• Zenith Islami Life Insurance Ltd.
• Mercantile Islami Life Insurance Ltd.
• NRB Global Life Insurance Company Ltd.
• Guardian Life Insurance Ltd.
• Chartered Life Insurance Company Ltd.
• Best Life Insurance Company Ltd.
• Protective Islami Life Insurance Co. Ltd.
• Sonali Life Insurance Co. Ltd.
• Sawdesh Life Insurance Co. Ltd.
• Diamond Life Insurance Co. Ltd.
• Alpha Islami Life Insurance Ltd.
• Trust Islami Life Insurance Co. Ltd.
• Agrani Insurance Company Ltd.
• Meghna Insurance Company Ltd.
• Asia Pacific Gen Insurance Co. Ltd.
• Bangladesh Co-operatives Ins. Ltd.
• Bangladesh General Insurance Co. Ltd.
• Bangladesh National Insurance Co.Ltd. • Central Insurance Company Ltd.
• City General Insurance Company Ltd.
• Crystal Insurance Company Ltd.
• Desh General Insurance Company Ltd.
• Eastern Insurance Company Ltd.
• Eastland Insurance Company Ltd.
• Federal Insurance Company Ltd.
• Green Delta Insurance Co. Ltd.
• Islami Commercial Insurance Co. Ltd.
• Islami Insurance Bangladesh Ltd.
• Janata Insurance Company Ltd.
• Karnaphuli Insurance Company *Ltd.
• Mercantile Insurance Company Ltd.
• Nitol Insurance Company Ltd.
• Northern Gen.Insurance Company Ltd.
• Peoples Insurance Company Ltd.
• Phonix Insurance Company Ltd.
• Pioneer Insurance Company Ltd.
• Paramount Insurance Company Ltd.
• Prime Insurance Company Ltd.
• Provati Insurance Company Ltd.
• Purabi General Insurance Company Ltd.
• Republic Insurance Company Ltd.
• Rupali Insurance Company Ltd.
• Sonar Bangla Insurance Company Ltd.
• South Asia Insurance Company Ltd.
• Takaful Islami Insurance Ltd.
• Union Insurance Company Ltd.
• United Insurance Company Ltd.
• Sena Kalyan Insurance Company Ltd.
• Sikder Insurance Company Ltd.
Insurance Development and Regulatory Authority of Bangladesh (IDRA) is the only government body for regulating and developing the insurance sector of Bangladesh since 2010. The Parliament of Bangladesh on 3 March 2010 has passed two insurance laws in a bid to further strengthen the regulatory framework for the insurance industry. 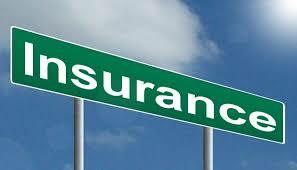 77 insurance companies have been operating in the country. The companies are to be regulated under comprehensive laws and guidelines, and to be supervised by IDRA. The IDRA Act 2010 has paved the way for better regulation of the sector by reducing business risks, and by harmonizing local and international insurance laws for the Economy of Bangladesh. IDRA attempts to protect the interest of insurance policy holders, beneficiaries and ensuring stability of the insurance sector.Two state-owned insurers -Sadharan Bima Corporation (SBC) and Jiban Bima Corporation (JBC) are also regulated by IDRA.